Black and White - aka: VH1 or "Eruption"
* Original "Franky" (or Frankie) Guitar. 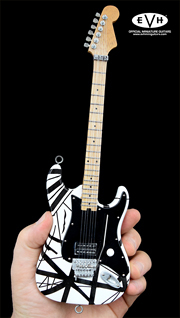 * This is the guitar that started it all. Appeared on the cover of the first Van Halen album. 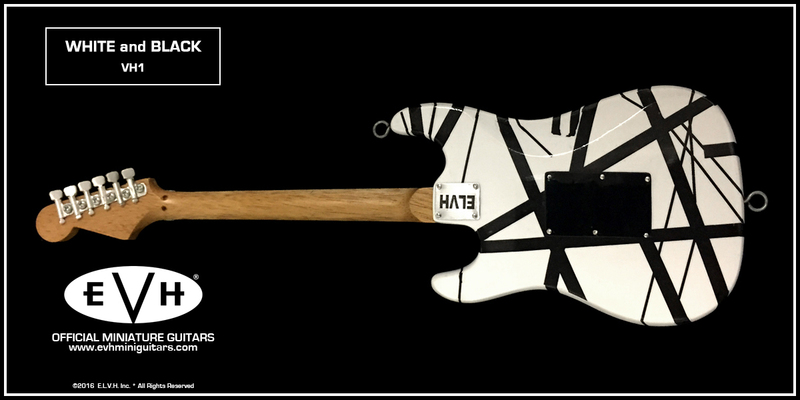 * Iconic white with black stripes design which went on to become the famous main Frankenstein guitar after red paint was added. * Striped with Schwinn bicycle paint (the thin lines are actually car striping tape and not paint). Painted black originally, then taped off and painted white. 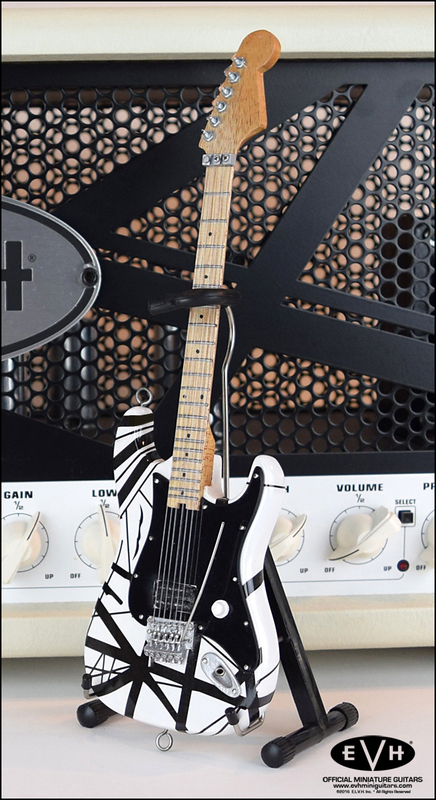 * VH1 was originally a factory second Boogie Bodies ash body and birdseye maple neck with plain maple fingerboard, rosewood top dots and brass side dots. * Handcut pickguard. 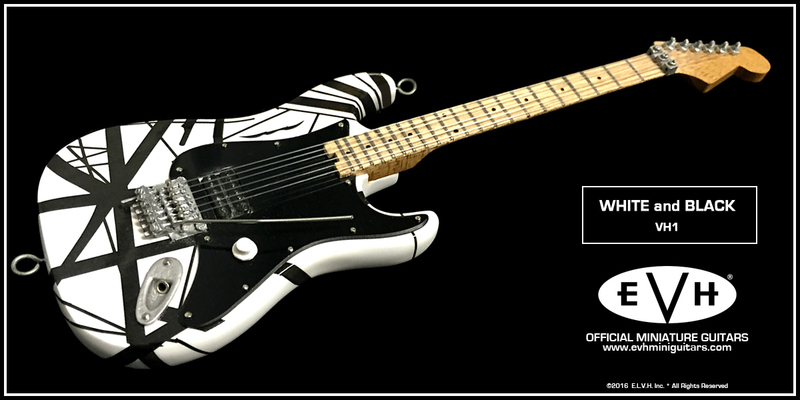 Probably the first Strat to be modified to have a single humbucker. 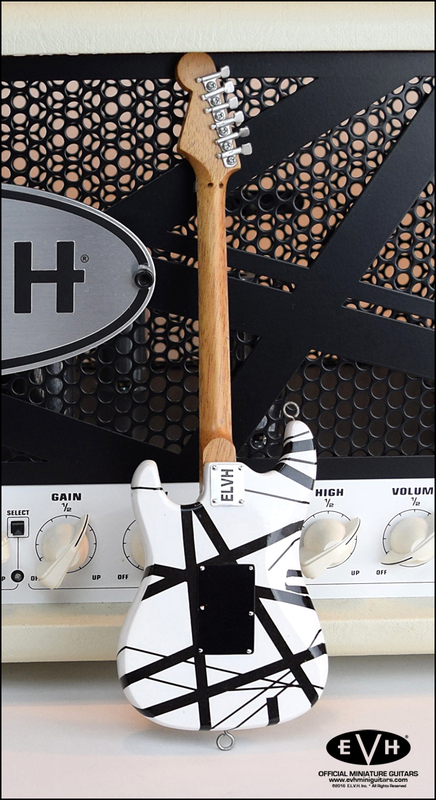 Had a single white (now famous) "Tone" knob for volume. 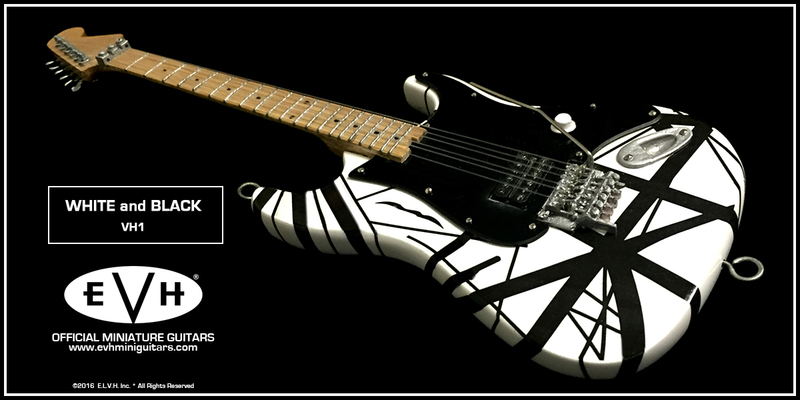 * Built around 1975 by EVH. * Had the original big headstock Boogie Bodies neck on it most of the time but also had a small headstock neck on it with rosewood board and white pickguard and no thin stripes in 1979 right before it was painted red. 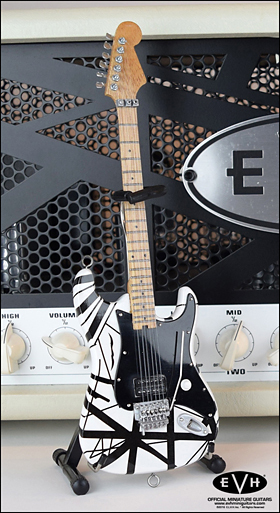 * Ed typically used either the home made dog leash strap or the WWII bomber belt strap with this guitar with eye hooks in the body. 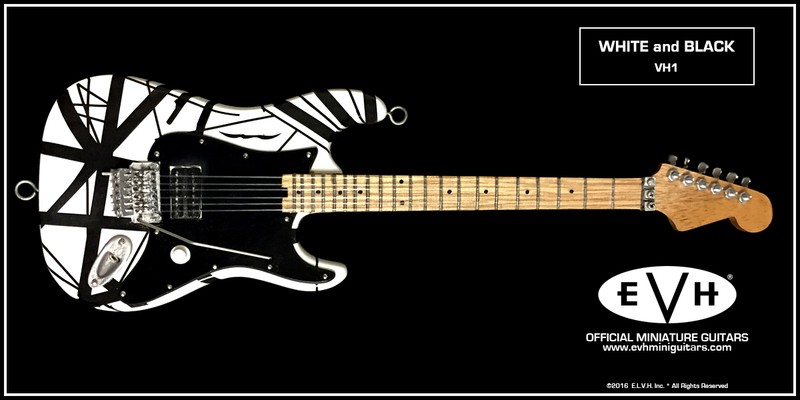 * At one point a gold "Gibson" logo decal on the headstock. * Old PAF pickup from Ed's ES-335.